There is lot of discussion about raw meat diets (BARF). I do not feed a raw meat diet nor do I recommend it to my puppy owners. In a Dog News article, which I thought was very interesting, a study was conducted by Animal Population Health Institute at Colorado State University. This new study, which identifies potentially harmful bacteria in 21 commercial raw meat diets, demonstrates a risk of food borne illnesses in pets as well as the public health risk of zoonotic infections. A researcher tested the commercially available raw meat diets, compared to two dry dog foods and two commercial canned dog foods. All the diets were tested for Escherichia coli, Salmonella spp and Campylobacter spp. Beef, lamb, chicken and turkey were the meats tested over a period of four months. No campylobacter spp was found in any of the foods, but E coli was isolated from ALL raw meat products. Ten products also contained salmonella. Ninety-nine percent of raw meat samples were contaminated with aerobic bacteria and 79 percent had gram negative contamination. Non-type-specific E coli was also found in a few of the dry food samples but researchers believe that post-processing contamination was the cause of that. 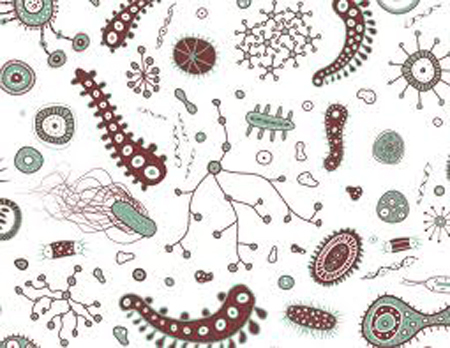 The researchers also said that bacteria are not the only health concerns. There are also parasites and protozoan organisms that can be transmitted in raw meat, even meat labeled fit for human consumption. Pat Hastings, a well-known AKC judge and author of the books, "The Puppy Puzzle" and "Tricks of the Trade", is considered one of the foremost experts in dog structure evaluations. Pat says in her seminars that she can tell which puppies are on raw meat diets because the front end structures are invariably deformed along with other diet problems. My vet explained that my adults had developed immune systems that fought off these problems but my small puppies could not ward off the toxic poisons. I can only add that about 10 years ago, there was a vendor here in the NW that advertised USDA inspected ground beef for pet consumption. 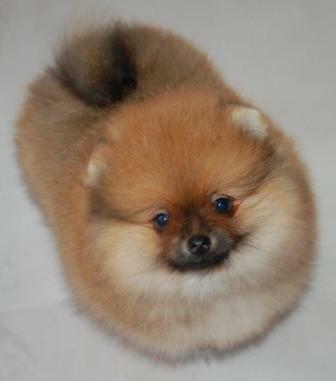 I usually bought 50 lbs of this at one time, and I know of several other Pomeranian breeders that also bought this meat. Using this raw meat with kibble, I was very impressed with how my brood females were doing during pregnancy and they always had an abundance of milk. But disaster hit when several of my litters were just at the weaning stage and got into their mother's food bowl. The pups would become lethargic, start vomiting, and within 48 hours be dead. I went to several veterinarian clinics desperate to figure out what was killing my puppies. Even with an autopsy nothing abnormal was showing up in the test results. I was heartbroken when I lost a litter of three sired by BIS Ch. Bi-Mar's Sundance Kid and out of Ch. Bi-Mar's Sugar Pie Honey, these pups were absolutely outstanding. I knew somehow I had to get to the bottom of this and the veterinarian I had been going to for so long asked me to bring in a sample of this raw meat diet I was feeding. He sent it off to be tested and when the results came back, the meat carried Salmonella, Staph bacteria and E coli. It left a big question with me as to how this meat had been processed and the environmental area where this product was being package for sale. Lesson learned. I have never fed a raw meat diet since then and I doubt I ever will simply because, at this point, the risks outweigh the benefits. 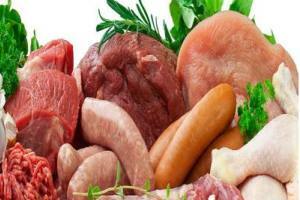 Let us know what you think in the COMMENT section of: Raw Meat Debate. Learn LABEL LINGO like meat meal, animal digest, fiber, etc. 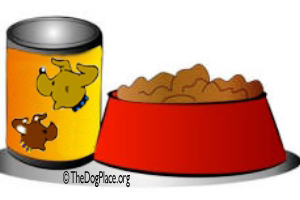 Label lingo, dog food safety, ingredients, and counterfeit food.